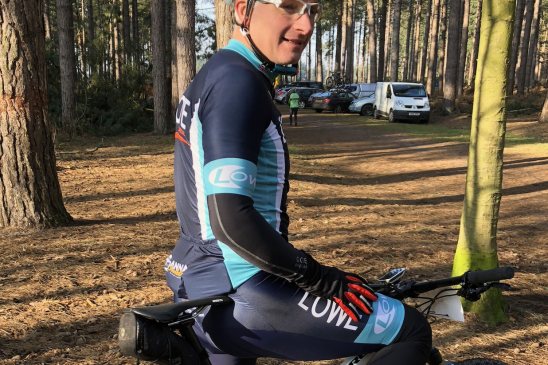 Jon and Guy put the team Lowe Kit into test at the final round of the 2017/18 Revel Outdoors Winter Series at Shouldham Warren yesterday. After a tough week’s training, they completed 37 miles of riding with 2,273 ft of climbing with great times, and the sun decided tomato an appearance too! 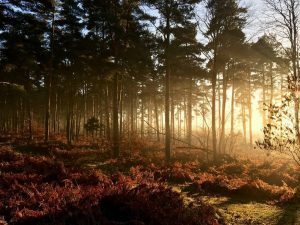 Having survived the festive season; a mix of the usual shenanigans and steady training (!) 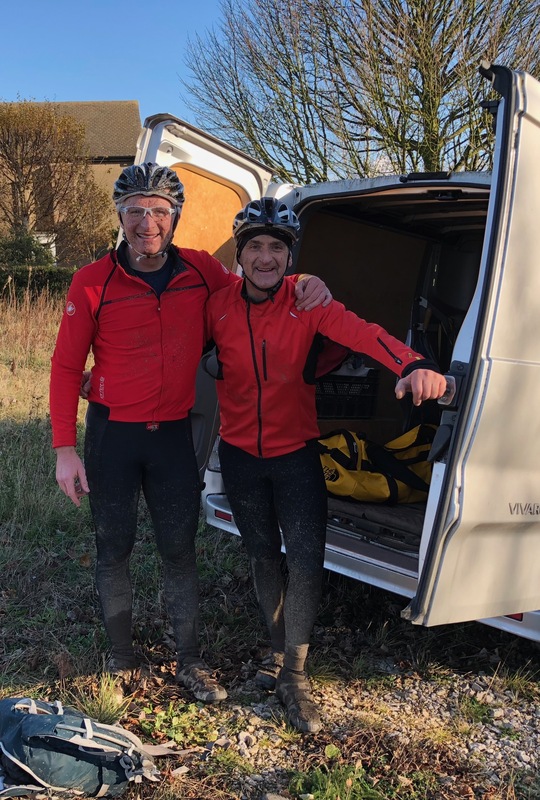 Jon and Guy have put the fine wine and ale away in preparation for the big push of demanding hours on their bikes for the next 10 weeks. 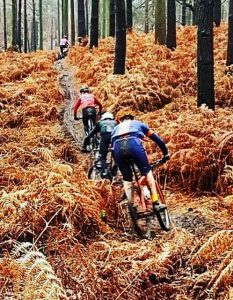 January challenges started off on Sunday 7th with the legendary Merida Brass Monkeys Mountain Bike Enduro Series “The New Year Hangover”. 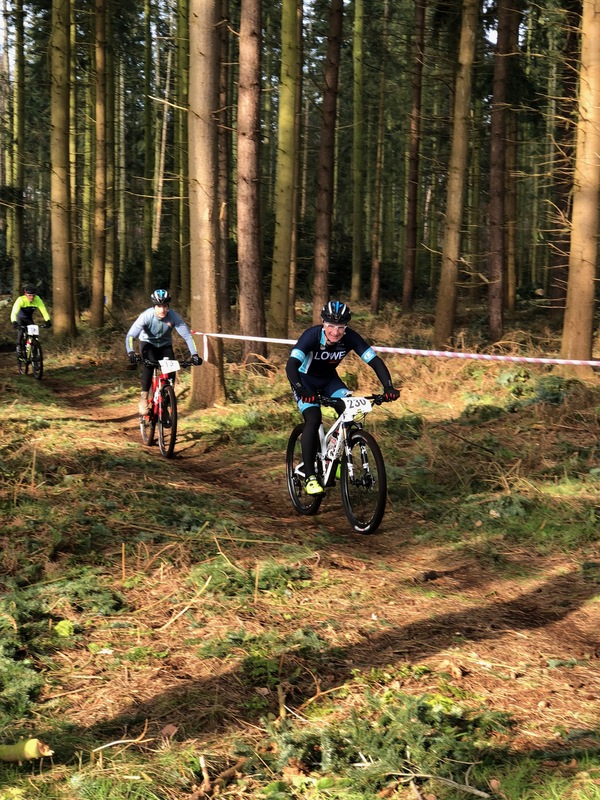 Hundreds of riders enjoyed carefully prepared courses through heath and pine woodland with flowing single track mixed in with swooping trails and stone fire roads that wind through the wonderful Hampshire and Surrey countryside. 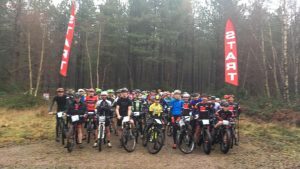 The first of three January events; it was a great start to the final third of their training for the Cape Epic in March. 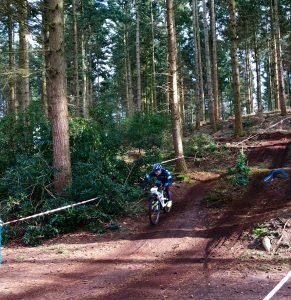 Sunday 14th our ‘Team Lowe Electrical’ headed off to Brandon Country Park, Thetford Forest the largest lowland pine forest in Britain, and partook in a 4 hour endurance race. 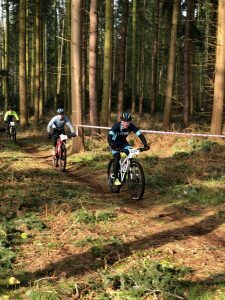 After a demanding course through the wooded trails north of Suffolk and the south of Norfolk, the race results were good and fitness increasing to plan. 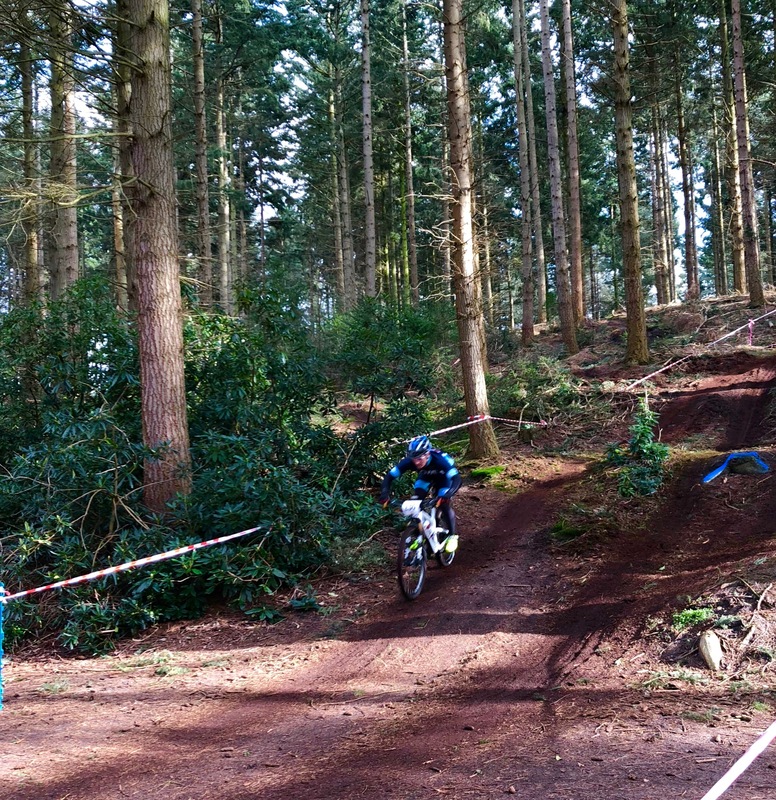 28th January Jon and Guy will be heading back to Minley Warren, Camberley, Surrey for the next part of the Brass Monkeys MTB Enduro Series “The Winter Warmer”. Two months today (15th January) men and bikes will be on their way to Cape Town, the Race Preparation is well underway and excitement is mounting. Massages are booked and laundry service booked too, after all, a fresh set of kit is the next best thing to a fresh set of legs! Mud, mud glorious mud and there has certainly been a lot of that this last month! Amongst their training schedule, Jon and Guy competed in the challenging Three Counties MTB Marathon on 12th November. This event started & finished in Buxton traversing the three counties of Derbyshire, Staffordshire & Cheshire with a 63.7 km long route and 1728m of climbing. 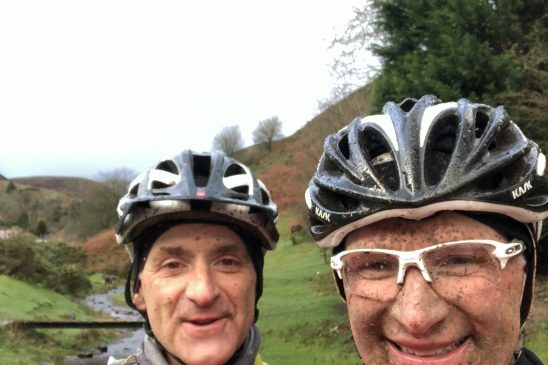 The biking terrain was predominantly high level/remote/moorland riding on a variety of tracks and trails with under tyre conditions ranging from easy/smooth to steep/rocky/challenging, all in amongst quiet and scenic Peak District/Staffordshire Moorlands countryside . Then it was off to Shropshire last weekend for a change of scenery, completing a monthly total of approximately 843km. With just 13 weeks to go and the winter upon us, the training here in the Northern Hemisphere is certainly different to the high twenties temperature seen in Cape Town! Pedal Power saves the day & Just Giving Page launched! 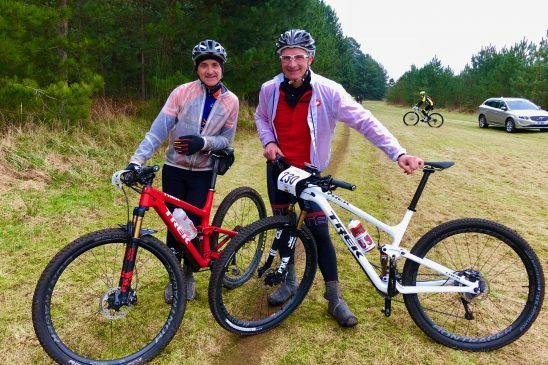 It’s just over a week on from the launch of our Absa Cape Epic blog and what an eventful week it has been! First some bad news… Jon’s bike was stolen last week, so training is taking place on another set of wheels until his replacement arrives in 6 weeks’ time. 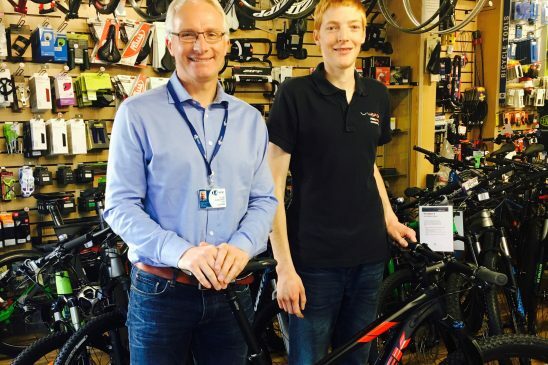 Huge thanks to Pedal Power in Loughborough who managed to get an interim bike within a matter of days so training has been disrupted to a minimum. 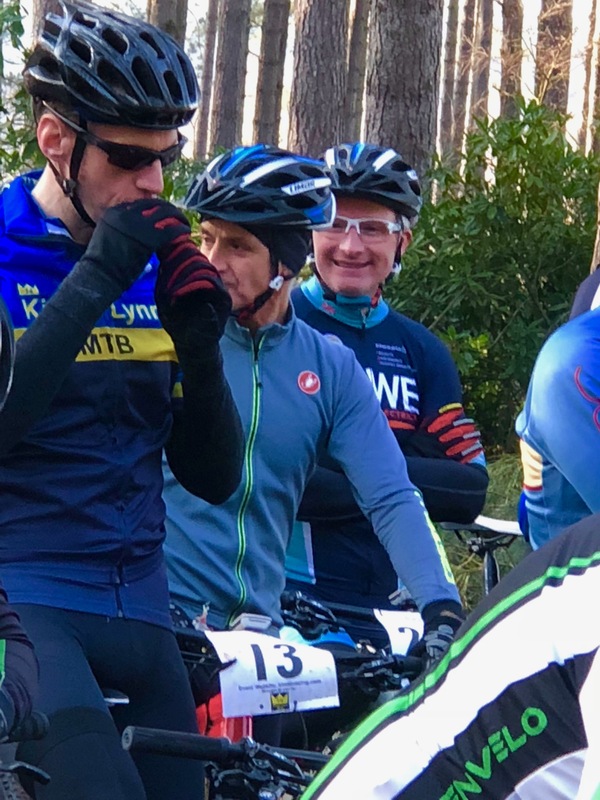 Guy suffered a calf injury early in the week so was unable to complete Tuesday’s training… but after some physio was back in action for the Kings Lynn MTB Winter Series on Sunday. This week a total 12 hours of training has been completed and 135 miles ridden. 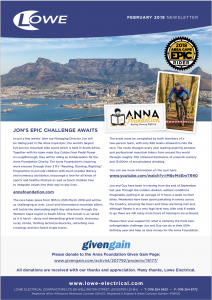 Flights booked, accommodation sorted and measurements emailed to Helen at the Anna Foundation for the sponsored kit… pictures to follow. In South Africa, with the 2018 Absa Cape Epic just over 4 months away, the team visited the venues and double checked the water points along the route … good to know! Just to mention a ‘Just Giving Page’ has now been set up so please share this amongst your family and friends, we will of course up-date you on the Charity Fund Raising Activities nearer the time.